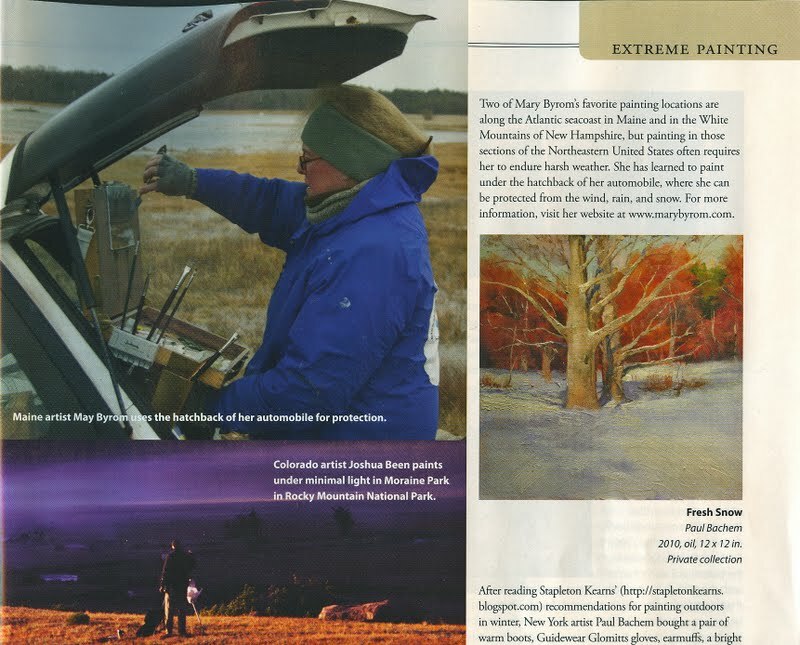 Plein air Magazine has a feature called Extreme Painting.
. My good friend Jane Ramsey came up to Maine last November to paint with me. She had never been to Maine before…so I took her all over to paint in as many locations as we could in 4 days. She took my picture while I was painting in strong winds on Parsons Beach. She sent it in to the magazine. They published it this month – what a surprise !